This was the third year that I attended CFFM’s Summerfest. It’s always a great day and a good time to get out and meet new and old friends. 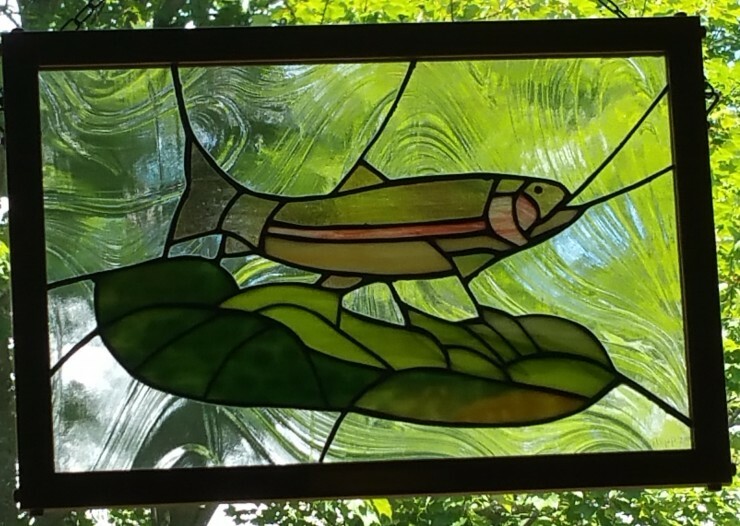 This year I wandered the grounds with Walt and Leighanne of Rivertop Rambles, and met up with my friends from Ridge and Valley TU, based in northwest NJ. The main field is usually filled with booths and vendors, and there are a few planned activities throughout the day. There’s always a casting competition, which I was told draws participants from as far away as Japan. If you’re lucky you might get a few pointers from Joan Wulff. Each year there is something new to see. 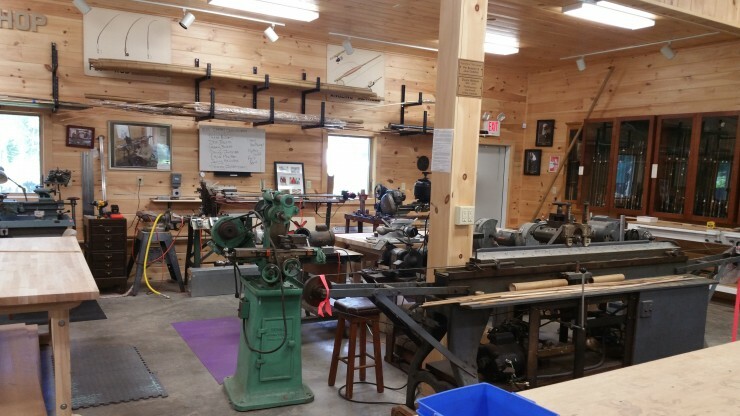 This year there have been significant additions to the bamboo rod building shop, located below the Wulff Art Gallery. 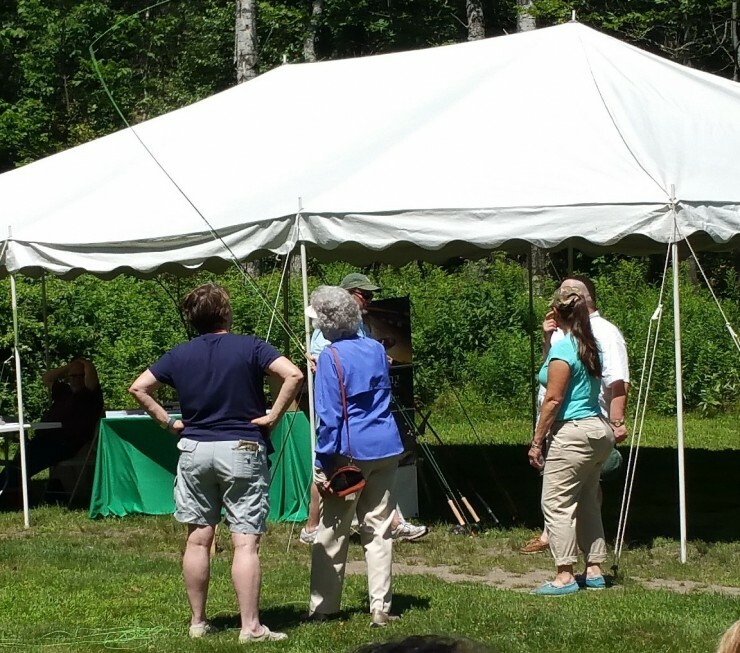 If you’re interested in learning to build your own bamboo rod, the museum offers classes. 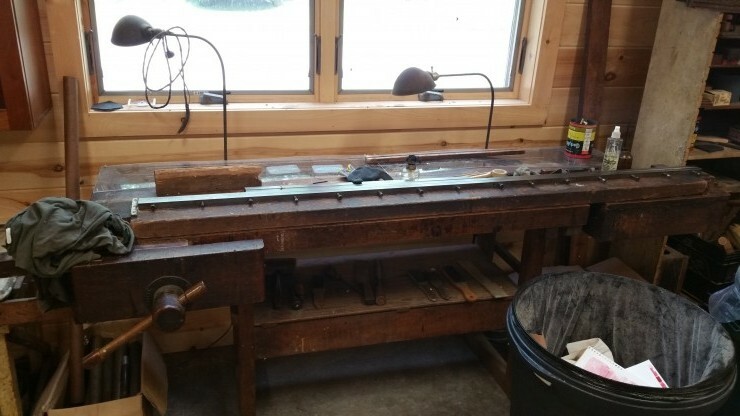 I am not a bamboo rod builder, but I was told that this Everett Garrison rod building bench is a key acquisition, highly valued and very popular with those who come to the rod building classes. There were also some great vintage bamboo rods on display as well. 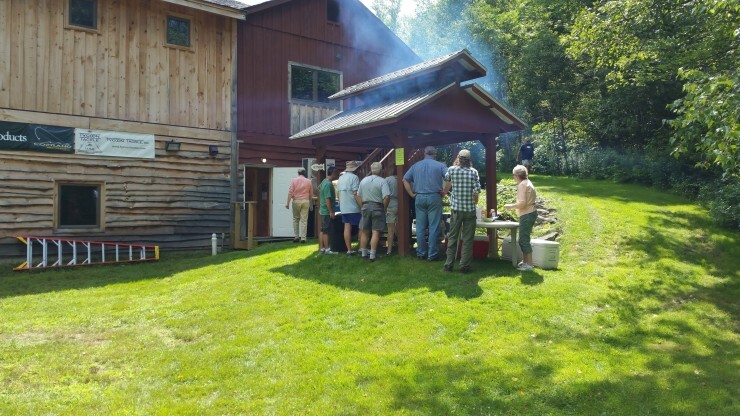 The grill seemed to be a popular place as well. 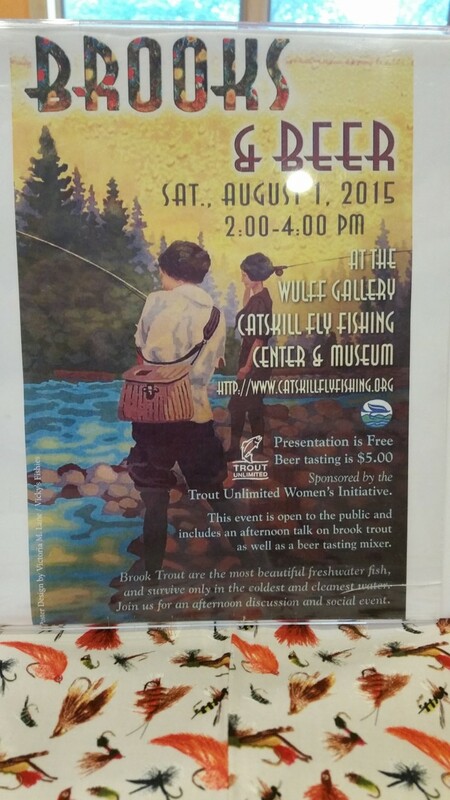 This year we also stopped for a beer tasting and presentation on brook trout in the Wulff Gallery. I always find something new in the gallery. 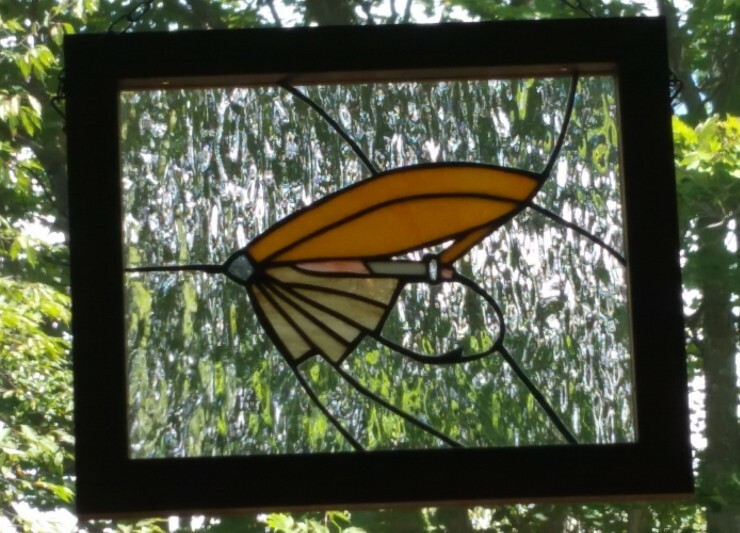 This year it was the stained-glass panels that hung in many of the windows. If you’re interested, they’re available for sale. Last year Walt and I got out afterwards for a nice evening of fishing. This year we had an interesting situation. 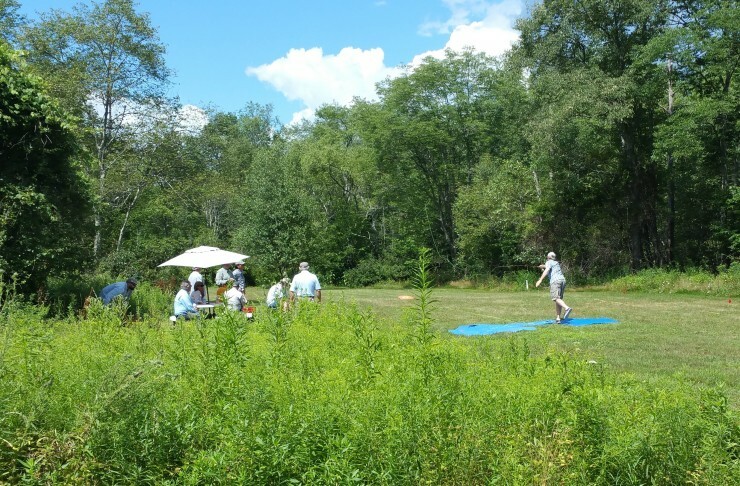 The Beaverkill was too warm to safely fish, with water temps in the mid 70’s. In contrast, the Delaware was much too cold, with a thermometer reading of 43 degrees. We attempted the Delaware for about an hour before packing it in and heading home. This area is steeped in trout fishing history, and I’m interested in learning more about these streams, so it sounds very intriguing. 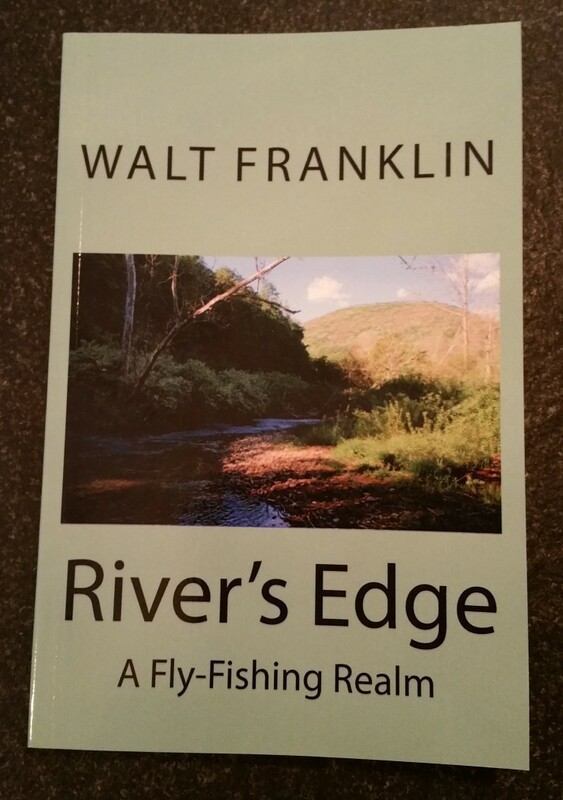 To get your copy, connect with Walt through Rivertop Rambles, find it on Amazon or contact Wood Thrush Books. 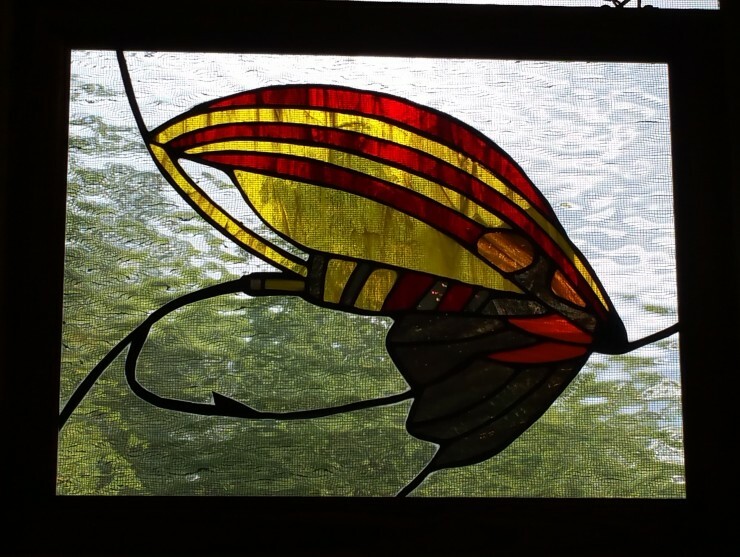 If you have a day to spend up in the Catskills, CFFM’s Summerfest is definitely worth it. Enjoy!